Challenge #14 in the Great Movements in Photography series. Hosted by Mark Scott Abeln. Look over all the genres found in "Great Movements in Photography" series of challenges. Which one, or combination, best expresses the art of photography? Submit images that in your opinion best illustrate the art of photography. Identify which challenge in the "Great Movements of Photography" series best fits your image, and post-process according to the rules found there. Which challenge in the "Great Movements of Photography" best expresses the art of photography? Or is some combination more fitting? Submit images which in your opinion express the art of photography. Follow, as closely as practical, the rules in the challenge which most closely matches your image. Some variation is OK: for example, a color image which otherwise follows the "High Photographic Modernism" challenge, or a largely abstract photo which gives the illusion of depth. Best describes the "Medium of Photography" i.e. 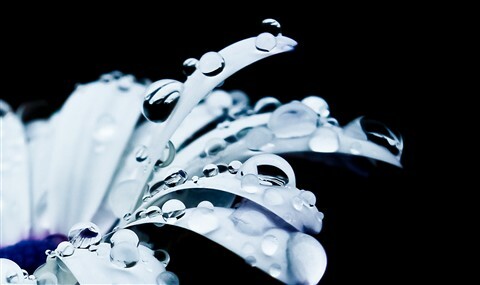 using your skills and the functions of your camera to turn an otherwise ordinary object into a beautiful piece of art. Good shot, and excellent explanation of how it fits into the challenge. A well-deserved high finish!